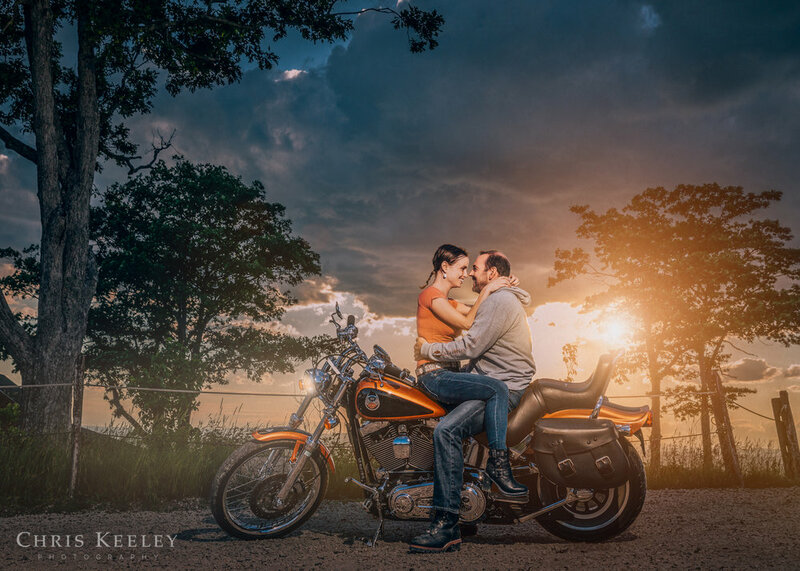 Seth & Heather's story literally begins with Heather getting on the back of Seth's motorcycle and riding off into the mountains. Seriously, that was their first date. And that's how Seth later proposed. So, it only made sense to host their engagement session on top of a mountain. And with Seth's Harley. Their signature portrait now hangs proudly in their home as a beautiful acrylic artpiece centered over their fireplace. We also made a great Guest Signature Book for their wedding with a nice black leather cover and copper debossing, a-la-Harley Davidson colors. Perfect. Heather with her acrylic metal print before installation. This piece looks absolutely stunning on their wall! As a full service professional photography studio, Wall Art comes with complimentary local delivery & installation. Acrylic art comes with metal posts, which are actually anchored into your wall to ensure a secure installation that stands out off your wall. Wedding Guest Signature book for their wedding, with space around their pictures for their guests to sign in at the wedding to create a personal memento. 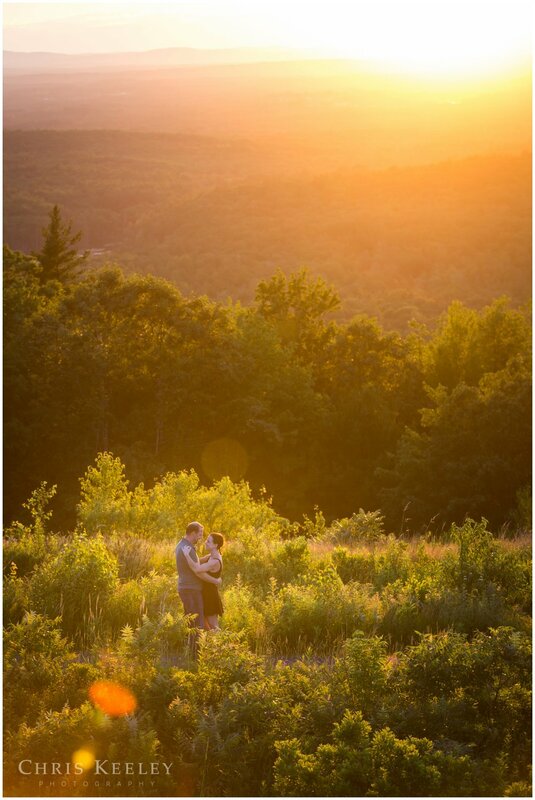 Such a great engagement session and great couple, can't wait for their New Hampshire wedding in September!